Signature drink Cleopatra’s Kiss and other drink specials for $5! 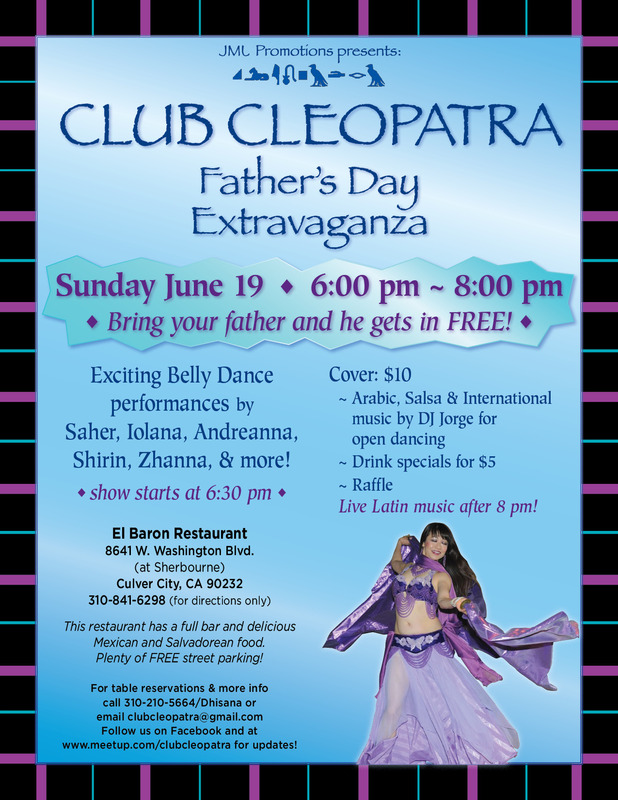 Arabic, Latin and International music by DJ Jorge! More DJ and LIVE Latin music after 8 p.m.
Come to support your favorite dancers, bring your friends, hip belts and plenty of party spirit! El Baron Restaurant has a full bar and delicious Mexican and Salvadorian food.